Many of you probably watched Blue Planet 2 and saw the damage our use of plastic is doing to our seas. When plastic was invented and introduced in 1907, it was celebrated for being durable and that it couldn’t be destroyed. But that’s the problem with plastic – once created it never disappears, it always stays around. The problem with throwing plastic away is that there is no “away”, it has to go somewhere, and a lot of it ends up in the environment, and particularly in the sea. 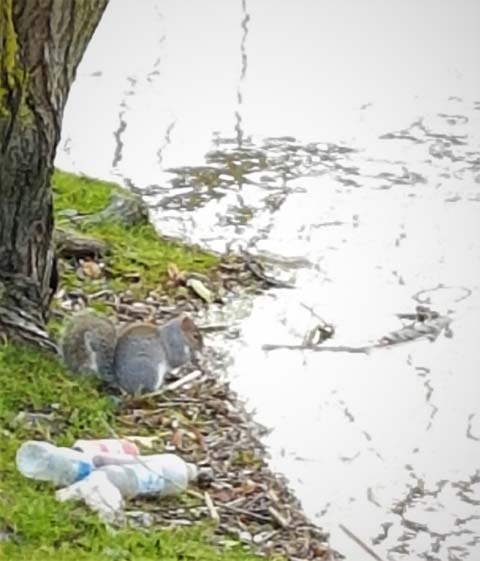 Plastic is unsightly and very harmful to animals, humans and the wider environment. Photo: Nature Travels. In the sea it gets mistaken by animals for food and they eat the plastic. Plastic is the opposite of food – it can’t be digested and it stays around in the animals’ stomach and the stomach gets fuller and fuller. In some dead seabirds, over 250 pieces of plastic have been found. 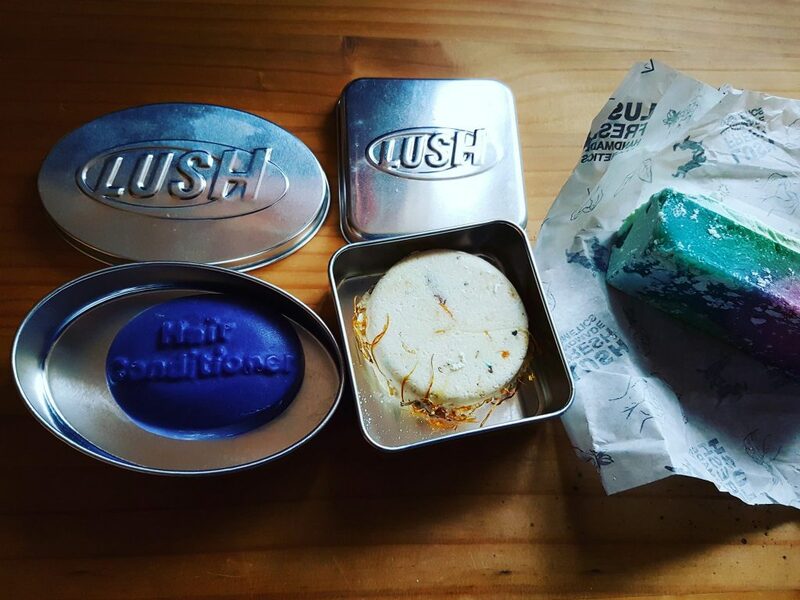 Toiletries and cosmetrics are one area where plastic usage could be cut drastically. Photo: Nature Travels. On top of that, many of the toxins in plastic get absorbed into the animal’s system and become more concentrated the higher up the food chain it gets. Some plastic gets broken down by the sea into tiny small particles that are mistaken by food and eaten by small fish. The small fish are eaten by larger fish and the larger fish are eaten by even larger fish, and then it gets eaten by us. And the higher up the food chain, the greater the concentration of toxins. This is starting to be one of the biggest environmental problems of our time apart from climate change. So what is the solution? For all of us to start living by the principle “Reduce, Reuse and Recycle”. Huge amounts of plastic are used for the packaging of fruit and vegetables – getting your veg delivered is a great way to cut this out. Photo: Nature Travels. Try to live by using as little plastic as possible. The plastic you have to use – reuse it! Use the same plastic container many, many times. When you finally can’t use your plastic container again, recycle it. Don’t throw it away. 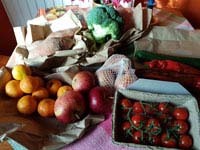 Buy fruit and veg from farm shops and farmers’ markets. Buy ketchup, honey, olive oil, mayonnaise, etc, in glass bottles/jars. Bring your own mug when you drink take-away coffee. 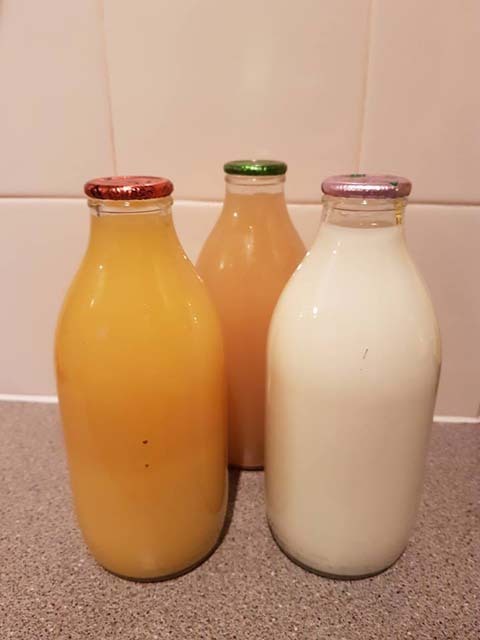 Getting your milk and juice delivered in glass bottles is a great way to reduce your plastic consumption, and it’s fun to collect from the doorstep in the morning! Photo: Nature Travels. If you need motivation, I recommend you to see the file “A Plastic Ocean” (www.plasticoceans.org), it makes you really realise what a huge problem we have. So now is the time to make the pledge – take the resolution to start living with as little plastic usage as possible, or go the whole hog and starting living single-use plastic free! Have a great plastic-reduced year! Each year Nature Travels donates money to environmental and wildlife conservation projects. This year we funded an info leaflet from the Marine Conservation Society on “Living without single-use plastic” and are actively supporting their Plastic Challenge. See www.mcsuk.org/plastic-challenge/ for details.